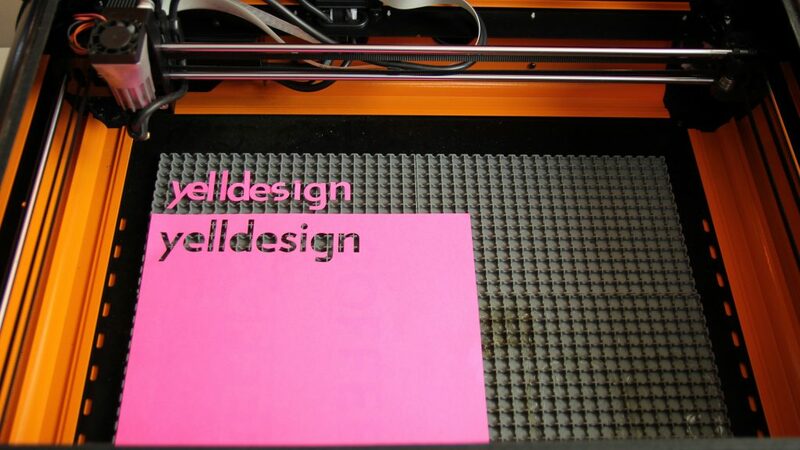 Itʼs no secret at yelldesign that we LOVE our laser cutter – so much so that we had to get another one! 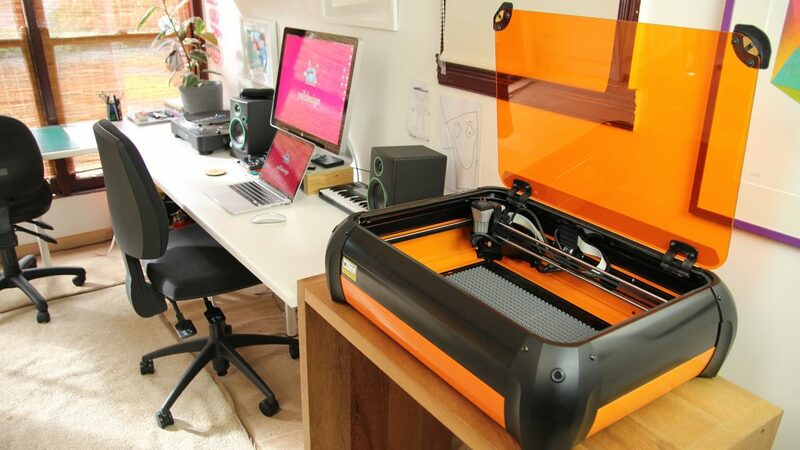 A few years back we installed a commercial laser cutter from Trotec in the yelldesign studio. Thereʼs rarely a day where this unit isnʼt fired up and cutting into something and itʼs been an absolute workhorse, involved in 99.9% of our projects. As such, the laser cutter is always in high demand (some days it feels like you need to take a number!). So, how do you fix the demand problem? Get another laser cutter, thatʼs what you do. We started looking around at the available options. An old Viner friend, Tee Ken Ng, pointed us in the direction of the Emblaser 2 (pictured above) being developed by Darkly Labs here in Melbourne. And oh boy, this machine looked like the goods! 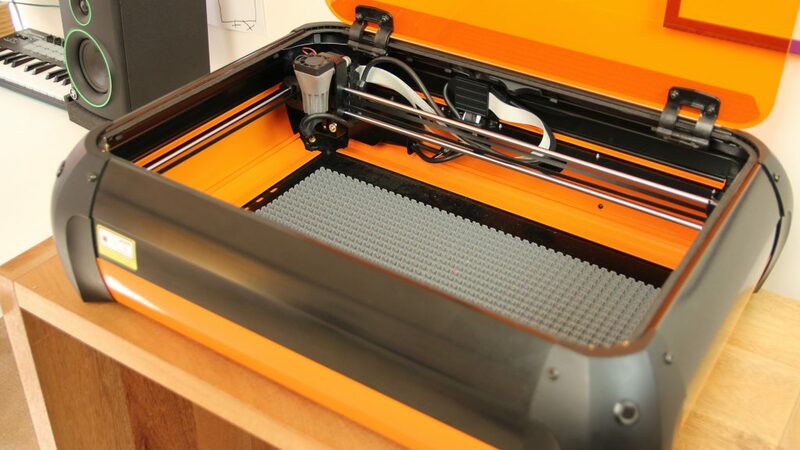 An affordable, compact machine with true 3D cutting/engraving, a large cutting bed and mac compatible software – this seemed like the one. 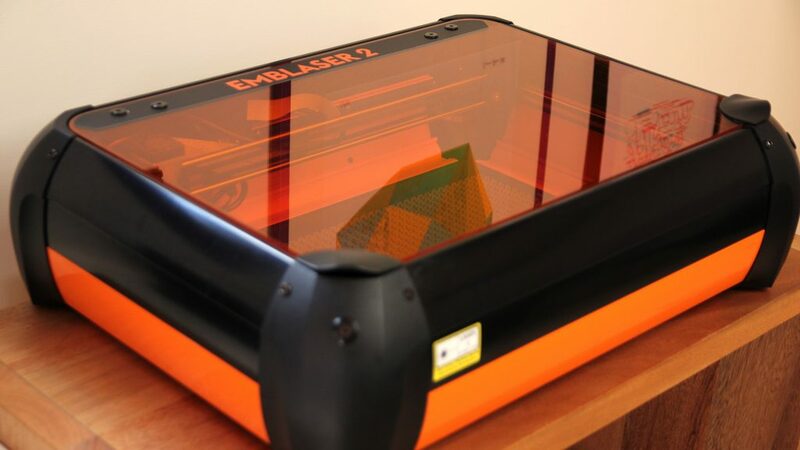 So, we took a deep breath, pulled the trigger and welcomed an Emblaser 2 into the studio. Emblaser 2 installed at Yelldesign satellite studio! In use we couldnʼt be happier with the Emblaser 2. Itʼs been surprisingly easy to use (although experience with the Trotec cutter has no doubt helped here) and with a bit of tweaking the machine has tackled everything weʼve thrown at it with ease. From super detailed paper cuts, to cutting and engraving wood and even the ability to cut a limited colour range of acrylic. With the optional air assist and filtration unit added to the mix, the Emblaser 2 is yet to miss a beat. The Emblaser 2 cutting bed is 500mm x 300mm – huge! While our commercial cutter will continue to do the majority of heavy lifting in the studio – the Emblaser 2 has been a welcome addition. Look – now weʼre 2 x faster! !